Some cycles up, some down. some sideways. One topping. Action for the week is somewhat confusing from the cycles, but we will try!!! Expect early week to hold up and move sideways, but by Wednesday we should see some pullback in the market. 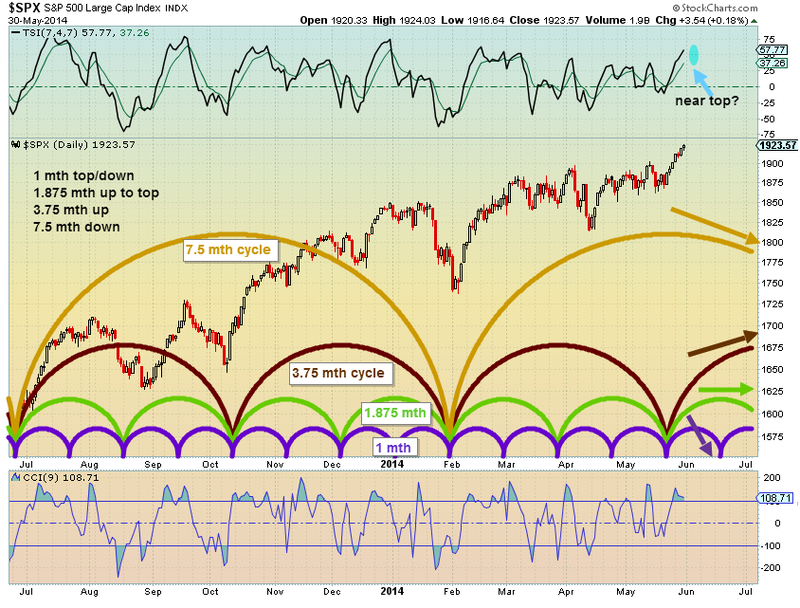 So far as speculated the early week is holding last week's closing levels. Let's see if we get the expected weakness starting Wednesday.